Computer Connection carries the Cisco NM-1FE-2CE1-B/U, and can send this 1 Port Fe 2 Port Channelized E1 B/u via overnight courier to most areas of the country for immediate delivery tomorrow morning. To request a quote on the Cisco NM-1FE-2CE1-B/U, just fill in your email address in the 'Quick Quote' field located above along with the quantity you want to purchase, or call us at 1-952-884-0758 for assistance. Every refurbished, pre-owned, and used NM-1FE-2CE1-B/U is thoroughly tested by our technicians and is fully guaranteed by our extensive 90 day warranty. 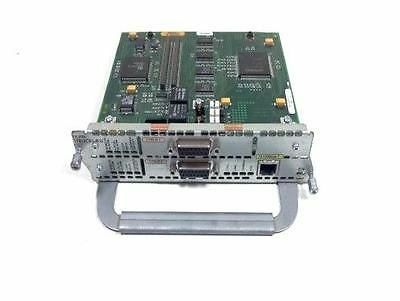 All of our refurbished Cisco equipment, including this NM-1FE-2CE1-B/U 1 Port Fe 2 Port Channelized E1 B/u, can be additionally covered by our extended warranty. Please ask your Computer Connection sales person for more information should you have any questions regarding this NM-1FE-2CE1-B/U.